It’s that time of year. Christmas adverts, decorations and cards are already showing up in many stores. Everyone is beginning to get Christmas on the brain, and why not? The days are darkening earlier and earlier. We can’t wait for the soon to come influx of Christmas markets, the scent of mulled wine and minced pies, and Christmas lights dotted around our cities (the cheesier Christmas pop songs can wait though). Many of us at this time of year also begin looking for winter breaks from the city and a great escape from our busy work lives. We start dreaming of Christmas holidays still not quite within reach, but close enough to imagine. However, with our budgets still tight due to the as yet still unstable economy, most of us aren’t up for spending too much on exotic vacations overseas. Instead, many are turning to local treasures for their holiday breaks. For those in the South of England, there’s no place better than Isle of Wight for a close to home but still exotic holiday destination. Osborne House Isle of Wight is full of Victorian style Christmas spirit this year, with a Victorian Christmas event occurring on the 19th and 20th of November, an exciting event featuring slide shows, singing chimney sweeps, traditional Victorian fairgrounds and the chance to meet Father Christmas and Queen Victoria! Later in the Christmas season Osborne House itself will be decked out in Victorian Christmas spirit and will offer special day events where you can make a Christmas wreath, or learn to decorate a Christmas cake like a true master. Isle of Wight loves to celebrate Christmas in style and many of the island’s best hotels and B&Bs options also offer Turkey and Tinsel Breaks with full or half price accommodation, often including mince pies, Christmas Day lunch, and plenty of free entertainment. 1. The Fountain Inn: Just 1.4 miles from Osborne House, this quaint and cosy Inn features 20 en-suite rooms, some with fantastic ocean views, all incredibly comfortable and inviting. This Inn also offers great meals in their restaurant and terraces which overlook the marina. An ideal location especially for a couple’s retreat this Christams. 2. The Crown Hotel: A comfortable, classic English Inn and pub, this great welcoming Inn offer 13 great rooms, a pub and restaurant, great food and proximity to many of the island’s favourite destinations. 3. Kasbah Bed & Breakfast: This unique hotel offers nine beautifully decorated Moroccon and exotic themed en-suite rooms, a very popular café-bar and fully cooked breakfast. Located in a Victorian town near to golden beaches, great local shopping, night clubs and of course Osbourne House, this is an ideal location for those seeking something a bit different but still luxurious and comfortable. 4. Casati House: Situated in historic and picturesque Ryde near to Osbourne House is this unexpected town house, a licensed boutique luxurious bed & breakfast destination for the style conscious looking for something truly decadent and altogether unique. 5. The Union Inn: part of a fantastic pub and restaurant, one of the first on the Isle, is a newly refurbished boutique inn featuring 6 unique rooms, each individually styled and themed offering a different experience depending on which room you decided to stay in. This along with great food, beers and wines, and an ideal location next to the Cowes Marina makes this a truly ideal and special experience for visitors. 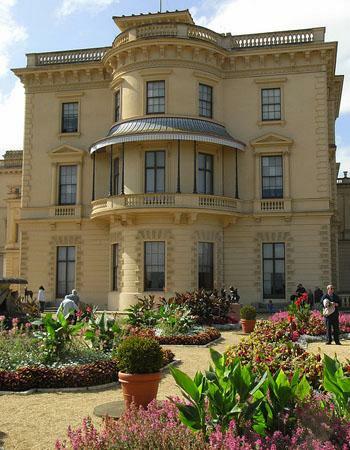 It’s also not too far from Osbourne House and many other favourite Isle of Wight destinations. Guest Post: K Newey is a copywriter typing away on England’s south east coast, not far from Isle of Wight. She is pondering plans to visit the Isle this Christmas and will likely be travelling with Wightlink Ferries – to and from the Isle of Wight.